Clearbird's Study Manual's primary function is to teach good study technology to students of Standard Clearing Technology. As such it forms the doorway to other clearing technology publications. Disclaimer: Clearbird Publishing is not affiliated with Church of Scientology or the official Dianetics organizations. Scientology, Dianetics, L. Ron Hubbard, Standard Tech, Book One, E-meter, Happiness Rundown, Purification Rundown, etc. are trademarked words owned by L. Ron Hubbard's estate and heirs (RTC, CST) and are as a rule not used in this publication. This Study Manual and 'The Road to Clear' contain an independent presentation of L. Ron Hubbard's Standard Tech of Scientology and Dianetics and does not violate any law within copyright or trademark as covered in length under 'About Clearbird' and Frequently Asked Questions. 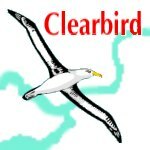 Clearbird is independent of organizational and financial interests of Church of Scientology, the Sea Organization, etc. It is an independent textbook in the subjects of Scientology and Dianetics made available to the online community totally legally based upon Clearbird Publishing's copyrights. This Study Manual teaches the student to study for application. What is contained in the manual can be applied to all study, theory and practical; classroom- and distance-learning (by Internet or correspondence). Its primary function is to teach good study technology to students of Standard Clearing Technology. As such it forms the doorway to Clearbird's clearing technology publications. 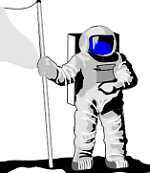 The language and examples used in the manual can however be understood without any prerequisites. 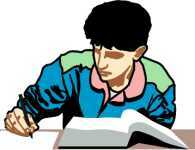 The study technology given applies to all types of study where the end product is practical abilities and understanding. It may equally apply to high school students, to students of a trade, or students of a more advanced profession, such as computer science or medicine. It outlines and describes in detail the pitfalls and barriers to study in general and how to overcome them. The Study Technology itself was developed by R. Hubbard (1911-86) and has been in use throughout the world in many different types of educational systems. From teaching children in Africa to read, teaching women in India to weave, to help students in economics and science to get the abstract concepts of their subjects. The content of the manual contains all the information of a course R. Hubbard called Student Hat™. It also contains later or further developments in the field. The Study Manual describes the 'hat' the student has to wear to be successful in his studies. 'Hat' refers to the professional identity and beingness somebody has to assume to perform a job. Many professions have hats that show the function of the personnel. This is true for railroad- and airline-personnel, as well as for cooks and waitresses -- to mention a few. The Hat of a student is in other words the beingness, duties, and habits a student has to adapt in order to be successful. The last section of the entire manual is "How to Supervise a Standard Clearing Technology Course". As the title says, this section is specifically intended for running a course in Standard Clearing Technology. It gives the basic data needed to teach and run such a course. The 'teacher' or 'instructor' of a Standard Clearing Technology Course is called a Course Supervisor. The section uses specialized words from that whole field and uses examples from this type of courses. To benefit from that the student supervisor has to have a good familiarity with Level Zero of Clearbird's Manual in Standard Clearing Technology. It can easily be adapted to running courses in other subjects. But we have in this section chosen to stay focused on the series' main objective, that is to train practitioners in Standard Clearing Technology. The manual has an index that will come to view when you click on the Seagull logos (in web edition). There is also a checksheet the student uses when he or she does the manual as a course. This has to be printed out and used as described in the materials. Finally there is a glossary in the manual. In the web edition you simply click on an illustration and it should come up on your screen. It has a fair amount of links to the manual itself and can be a help as a search-index on subjects. When using the manual as a course, each student uses a student point system to measure his or her progress and production. It can be found in the back of the manual but needs to be put into use when the student begins the course. We leave it up to the supervisor to put it in and administer it. commercial editions without special agreement with the publisher.